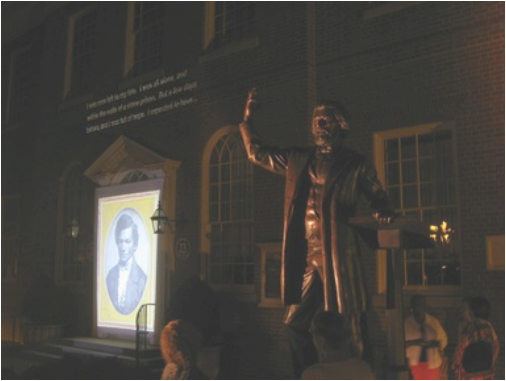 Assemble provided program design and video production services for an event celebrating the dedication of a new monument to honor Frederick Douglass on a historic site. Douglass was once imprisoned at a jail here in the 1830s for conspiring to escape slavery. He returned to the courthouse four decades later to deliver a speech as an internationally celebrated human rights leader.